What is the Best Eyeshadow for Blue Eyes? + the Best for Every Color! Have you ever wondered to yourself, “What is the best eyeshadow for blue eyes?” Well as a fellow blue-eyed woman with two little blue-eyed girls, I’ve done the research on the best eyeshadow colors for blue eyes…plus the best colors for all the other eye colors as well. Did you know that certain eyeshadows will compliment your eye color? If you didn’t know this, you are not alone! Make a statement and let your eyes stand out, with the perfect color combination! 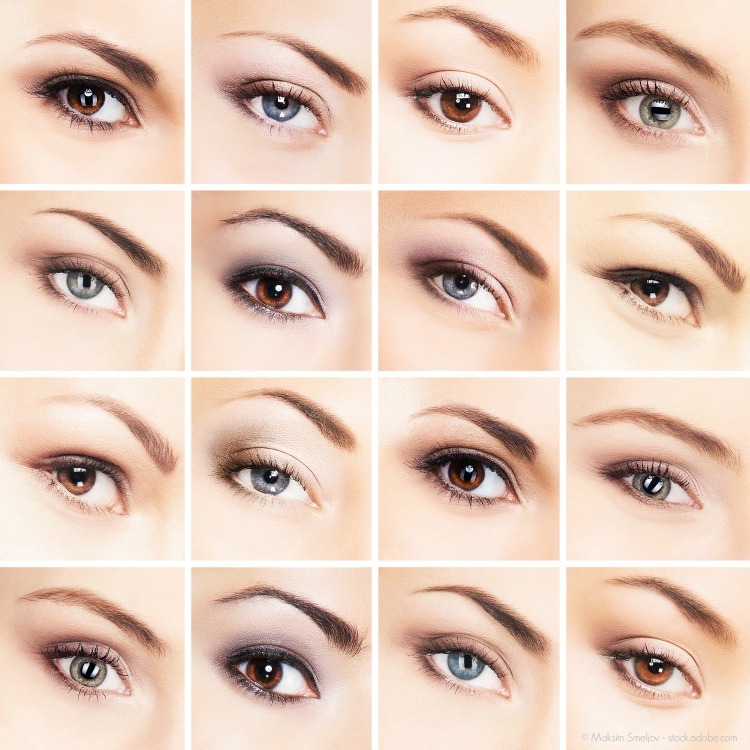 You may be surprised at what the most versatile eye color is! Making sure to choose the right shades is key to having your eyes stand out. You also want to make sure that your hair and skin tone compliments the colors as well, and then before you know it you will come across the perfect eyeshadow colors that really compliments you the best. What is the Best Eyeshadow for Blue Eyes (and all the other colors)? Soft shades are best for blue eyes, anything too dark can be harsh against your eyes. Orange undertone eyeshadows really compliment your blue eyes. Don’t think you can’t do a smokey eye, just swap shades of bronze and gold for grays to help your blue eyes shine. I have blue eyes and like to use a waterproof eyeliner in black since it’s really easy to apply, even if you’re new to liquid liners, and it stays put all day. You will need more than water to remove it though, so make up a batch of these homemade eye makeup remover wipes. And if black seems too harsh, try using a medium brown, and bronze up your cheeks to help add more color to your face. Lucky for you, brown is the most versatile eye color! You can use most colors on your eyes and really dress up your eyes. If you want your eyes to look a bit lighter, aim for a rich green color. To make your eyes really stand out go for golds or even purples, and don’t forget that black liner really adds so much definition to your eyes. Silver tones add beautiful contrast and really draw people in and open up the eye area. When you go to wear brown shades, you can add a pop of color on the lids to help mix it up and not make it feel so plain, and washed out. This really helps make your eyes stand out in a subtle way, and is great for an everyday look. Rust colors are a huge winner for green and hazel eyes. The opposite of green on the color wheel is red, and who wants to wear a red eyeshadow? The rust color family is close enough to reds that it is a perfect fit for these two colors. Another beautiful combination is pink with some bronze colors blended in. A rare eye color that is absolutely gorgeous. Play up your gray and pair with a smokey eye, light blues, silvers, and of course grays and black eyeshadows. It will add depth and help draw out the contrast in your eyes. Now you know what is the best eyeshadow for blue eyes and all eye colors so you can look and feel your best! Don’t forget to pin the photo below to save it for later!